Migration as a growing phenomenon, is a critical determinant in shaping global economic, political and social policies. And while migration has been a source of economic and cultural benefits, the recent global trends are indicative of the travesties faced by populations, who migrate due to lack of food security and conflict. Migration towards urban centres is a critical trend that will shape food secu­rity and nutrition in the near future. The annual percent change in urban population is higher than the global average indicating rapid pace of internal migration. It is estimated that by 2050, more than 50 per cent of the Indian population would be residing in urban areas. Globally, just three countries—China, India, and Nigeria—are expected to add 900 million urban residents by 2050. Since migration in India is largely from rural to urban areas, the ways in which we manage the expansion of urban areas in future will be critical for ensuring agricultural growth and global food security. Agricultural production is critical for achieving food security, since close to 99 per cent of food consumed is supplied by agriculture. Agriculture, on the other hand, is already under stress from environmental degradation, climate change, and an increasing conversion of land for non-agricultural activities. Furthermore, the shift in population centres arising from migration has accelerated the triple burden of malnutrition—the coexistence of hunger (insufficient caloric intake to meet dietary energy requirements), undernutrition (prolonged inadequate intake of macro- and micronutrients), and over-nutrition in the form of overweight and obesity. Migrants to urban centres face challenges around accessing nutritious food, adequate employment, social protection, housing and, water and sanitation facilities. This poses additional challenges to the government to ensure not only livelihood security for the population but also tackle challenges pertaining to food and nutrition security. The consequence of migration also throws open opportunities for food security, sustainable agriculture and rural development. For instance, loss in human capital and agricultural labour may have negative impacts on crop production and food availability. At the same time traditional food value chains are being transformed to meet the demands from urban centres. Increased commercial flows of agricultural goods, diet transformation, and the evolution of commercial markets in meeting urban food demand are causing food value chains to evolve. The growing use of modern inputs, information and communication technologies, and linking rural producers to wealthy urban consumers are important aspects of these changing trends. Sustainable agriculture and rural development offer us a way to tackle the root causes of migration including poverty, hunger, inequality, unemployment environmental degradation and climate change, which together form a nexus. Keeping this in mind, FAO has been playing a catalytic role in partnering with international financing institutions and state governments assisting them to design agricultural and rural development projects that brings crucial investment, technologies and knowledge sharing to rural areas of the country. With time, the population that continues to be employed in agriculture will also need to adapt to changing technologies and markets. As has been demonstrated widely, technology can greatly alleviate the hardship of farming, and also help farmers adapt to the demands of the markets. It is therefore necessary to increase incomes of the agriculture workforce and productivity by focusing on specialization of their skills, both in the production and post production stages, like storage, packaging and transportation to reduce waste and to enhance food safety. With the hardships that small and marginal farmers have to endure, it is not hard to explain the exodus of a large youth populations to the and not carry on their inherited occupation. Unless the hardship in farming is reduced and issues pertaining to health and nutrition and other social and physical infrastructure are not addressed holistically, migration will occur due to distress and not as a prudent choice. Everybody thinks for own betterment. Almost most of us have migrated from a place to other in want of better amenities. 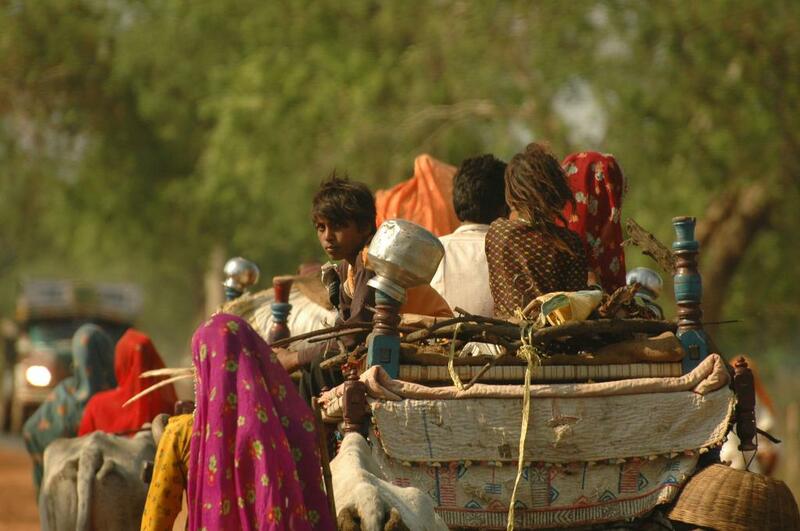 However migration is not justified as long as it is distress i.e if the migration is not economical and further adds a pressure on the cities then it is not a justified migration and comes under distress migration.The spark of city attract the villagers and compels them to search and earn their livelihood in cities. It is important to understand the significance of migration. In village watershed, there is every possibility to be explored in field of agriculture. Agriculture is a business of profit. Earlier too much use of chemical fertilizers pesticides/weedicides/herbicides has increased the input cost .As a result the income was equal or some time even less than the input cost. Hence the agriculture was taken as a business of loss.